View of the valley and mountains. As soon as the weather starts getting chilly I begin wearing my alpaca socks. The alpaca wool is much easier to wear than sheep wool and lasts longer. It also gets softer with wear and I never have the shrinkage that can happen with sheep wool. Of course I wash them in cold and hang them up to dry. They dry fairly quickly so that’s not a problem. There were some young alpacas on the farm and we had fun watching them as well as feeding the adults. Kids love to visit the farm and everyone loves the store. Thomas has become a skilled weaver and his rugs are in high demand. 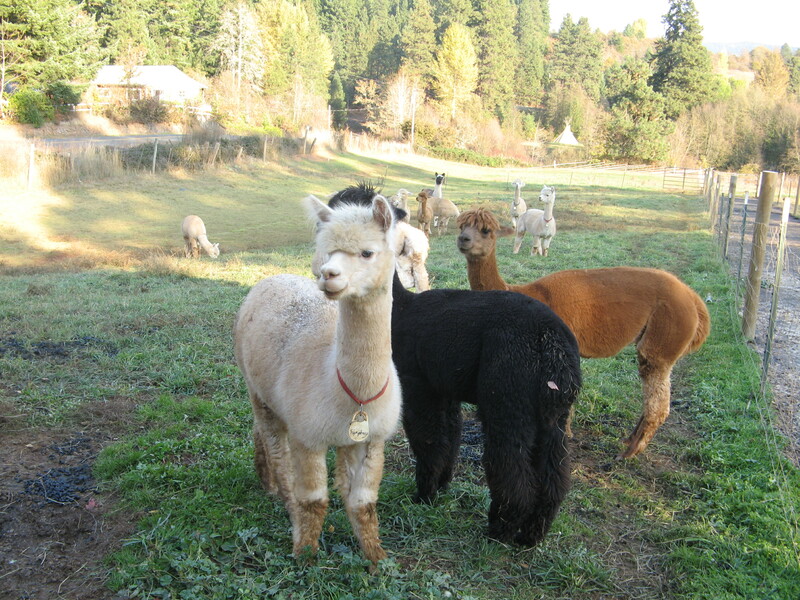 Alpacas come in many different shades from pure white to midnight black. In the store there is yarn that retains its natural shade and Connie can tell you which Alpaca it came from. They all have names of course. 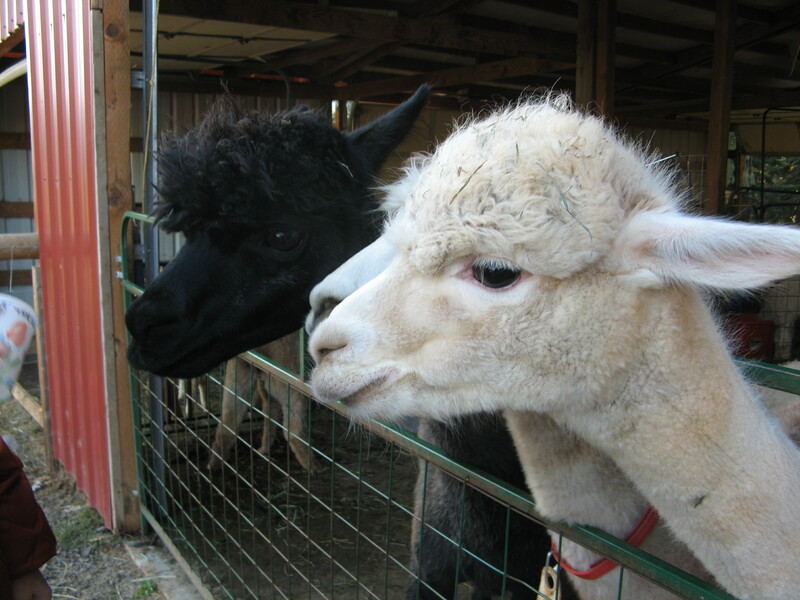 Connie and Thomas keep detailed records of births, shearings, and all things alpaca. 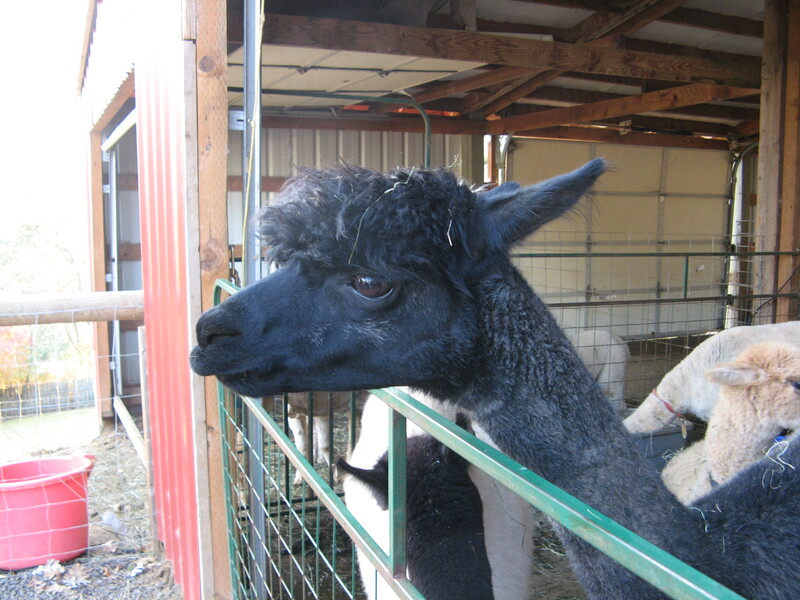 When the alpacas are sheared they have a few days of confusion. Since their wool, and their familiar smells are gone, they don’t recognize one another. So the alpacas are a bit confused and think they are suddenly among strangers. After a short time their unique fragrances return and they are once again friends and family. These are docile, curious creatures who always seem happy to greet visitors. 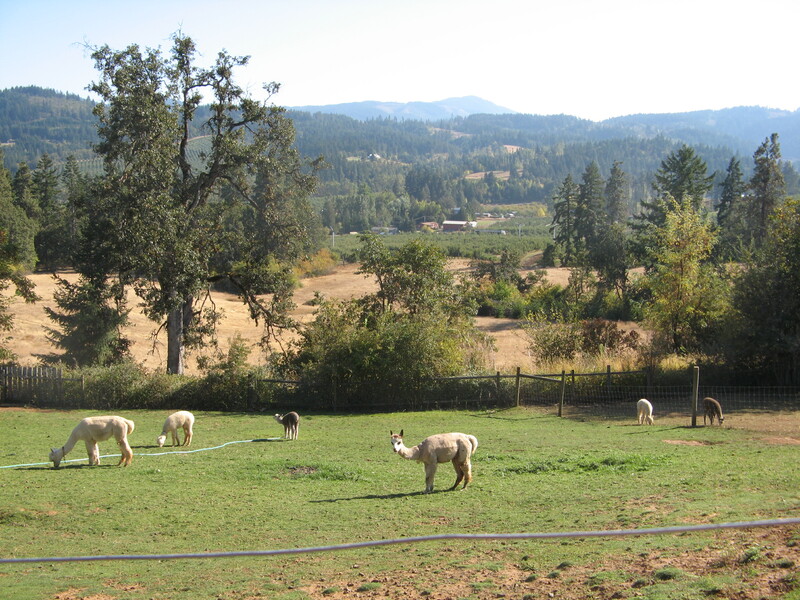 In order to protect the alpacas, the Llama that you see in the distance on the left keeps a close watch on the herd. He will scare away predators since he is larger and more aggressive. They haven’t had a single loss since he has taken over guard duty. The Llama is keeping guard. 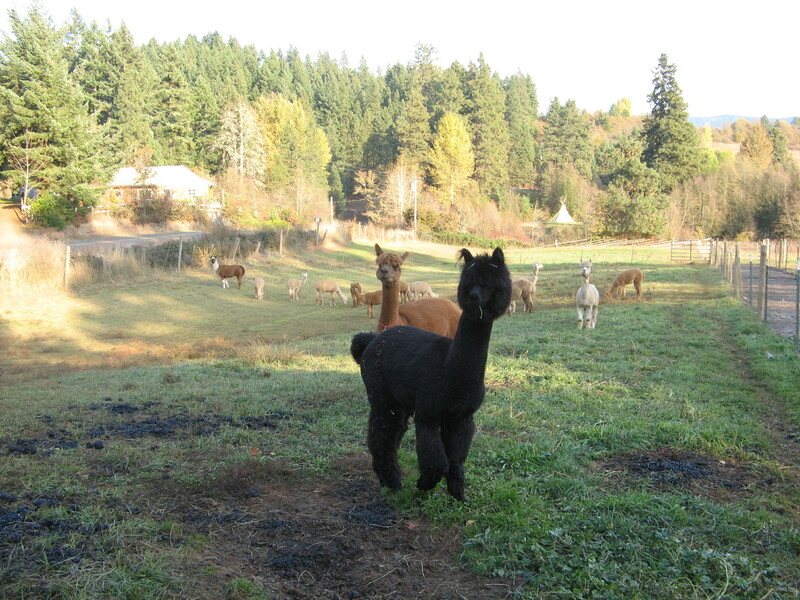 Be sure to check out the link to the Cascade Alpacas of Oregon. 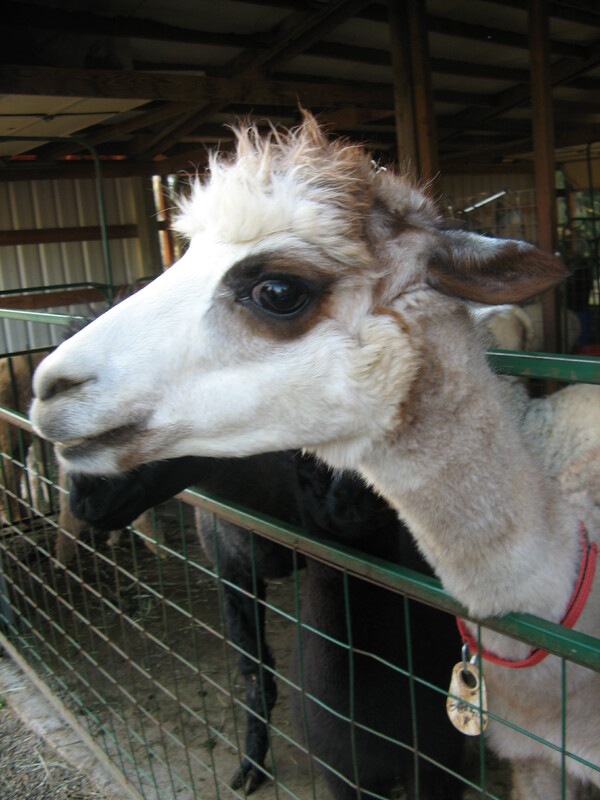 You can feed and pet the alpacas and marvel at their incredibly soft fur. Visit the store and pick up some yarn or a handmade hat or scarf. You may even want to order one of Thomas’s rugs! 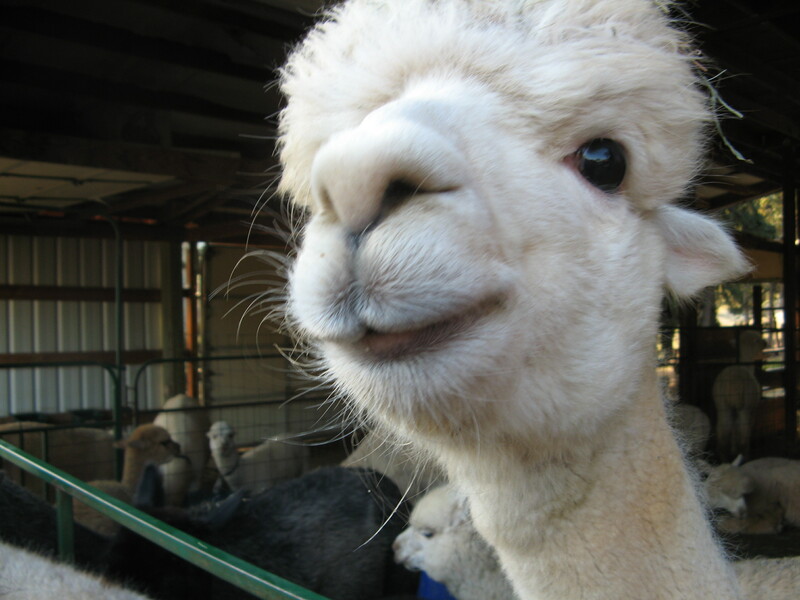 Remember, the alpacas just want to say hello but they are a bit shy so be gentle and they will come to you because they are, above all, curious!